It’s back-to-school week for Glencoe-Silver Lake and area parochial schools. School opened Monday, Aug. 29, for most students, while Helen Baker Elementary had its first day Tuesday. 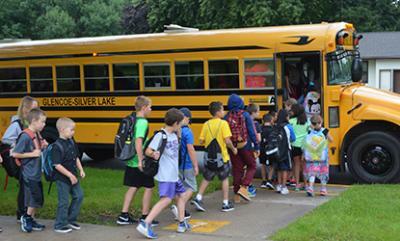 Above, students at Helen Baker board a bus bound for Lakeside Elementary in Silver Lake.